Black Women, Gender and Families - Philippine distributor of magazines, books, journals, etc. 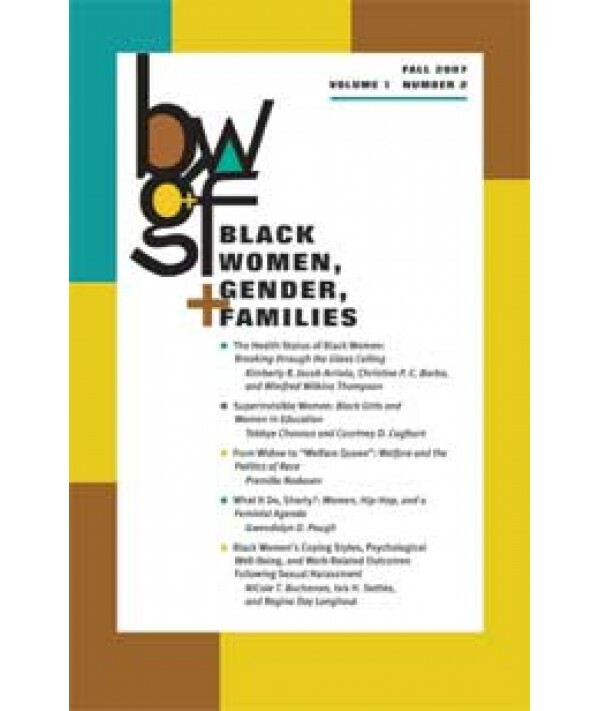 Black Women, Gender & Families analyzes, develops, and furthers Black Women's Studies paradigms. It centers the study of Black women and gender within the critical discourses of history, the social sciences, and the humanities. Second, this journal provides an Africana/Black Studies and Women's Studies cross-field and interdisciplinary venue for Black womanist and Black feminist theories, methodologies, and analyses. Third, it more fully integrates gender as an analytic category, and strengthens Black Women's Studies as a paradigm for studying black women, gender, families, and communities—especially policy-related issues within the broader disciplines of Black Studies and Women's Studies. Fourth, this journal provides the space for interdisciplinary, comparative/transnational studies of Global Africa/the African Diaspora and other women, families, and communities of color, using Black Women's Studies frameworks.